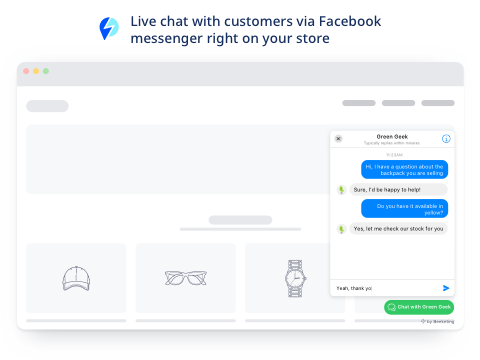 Bring customer support to the next level with Facebook messenger. 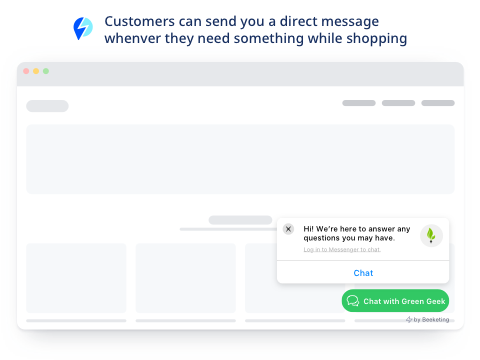 Customer send messages to your Facebook business page inbox through your store. Install and set up chat box in 2 minutes, with color and text customization. "How do you stay friendly and helpful to your customers, while increase sales at the same time? Do it with Facebook Messenger." More and more people prefer social messaging platforms like Facebook Messenger over email, phone, and online chat, when it comes to communicating with brands. 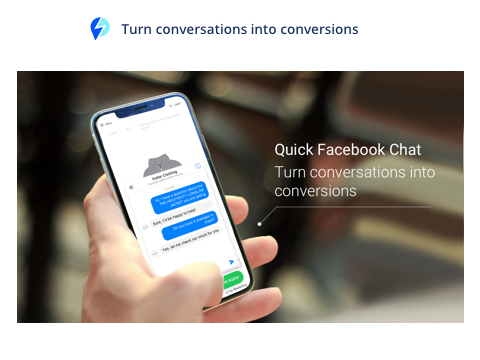 Quick Facebook Chat app helps you leverage this social trend and create the friendly and instant communication between you and your customers via Facebook. 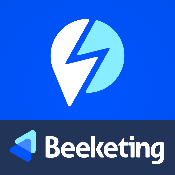 1- You can support customers anytime, anywhere, with your phone and Pages Manager app. No more hassles with emails or live-chat agents. 3- Build a long-term relationship with your customers via the most popular social platform. Having a previous conversation with customers, you can regularly catch up with to ask for their reviews, cross-sell products, or promote new arrivals. Let’s get started with Quick Facebook Chat to start building one-on-one relationships with your customers today!